To me nothing says “LOVE” like chocolate. This is a rich chocolate cup cake with a surprise cream cheese and chocolate chip center. Normally I like them without icing, but if you wanted to make them for an extra special occasion you can ice them. Add to above 1 cup chocolate chips. Fill cupcake papers 2/3 full of the chocolate batter – I use my 3 Tablespoon scoop. 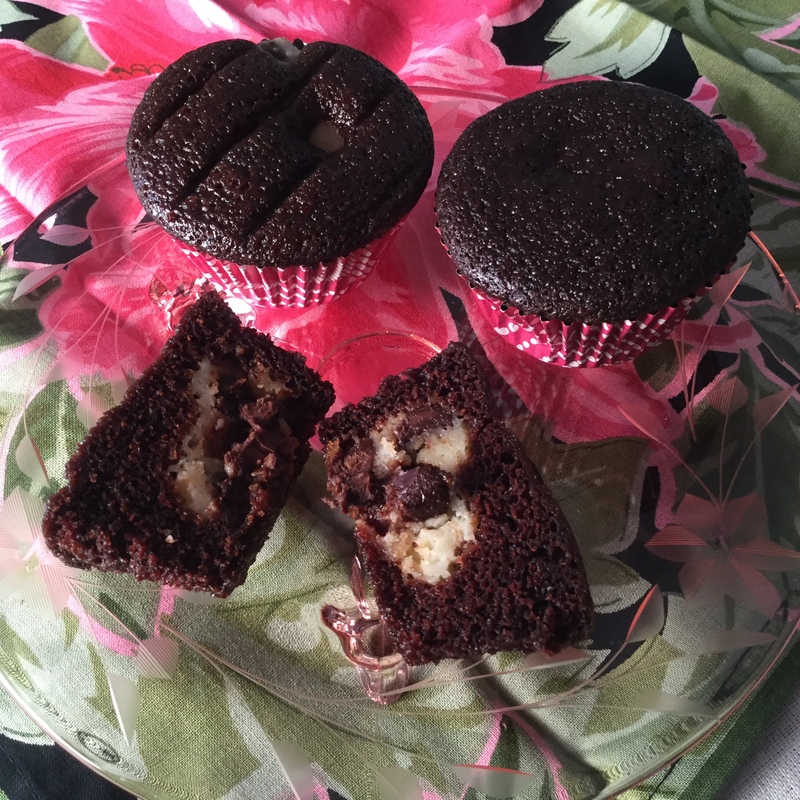 Drop one heaping teaspoon of cream cheese-chocolate chip mixture into each cup cake. Bake 25 minutes at 350 degrees. Frost when cool, if desired. 6 ounces semisweet chocolate, melted and cooled to lukewarm . In medium size bowl, beat together the butter until creamy, about 3 minutes. Add the milk carefully and beat until smooth. Add the melted chocolate and beat well. Add the vanilla extract and beat for 3 minutes. Gradually add the sugar and beat until creamy and of desired consistency. I hope you enjoy this yummy treat. mmmm, looks delicious, add icing to mine please!